15th March 2012. Secure your boat, caravan or bike with the new ToyLock; get your invite to St George; discover 3 new features just added to the site; get $350 of free gear when you buy a Waeco; see these delicious pre-made camp meals; and don't miss out on our Buy 1 Get One Free offer on H2No cleansing towels on now; and see what's on Super Special just in time for the start of out outback travel season. We've got more new features planned for Members so keep reading your Newsletters for more info over the coming months. We've totally revamped how you find Articles on ExplorOz. As you know, our small team of subject matter experts have prepared over 100 detailed articles covering all the important issues core to the theme of ExplorOz - everything you need to know about Trip Planning, Vehicles, Boating & Fishing, Caravans & Camper Trailers, On the Road issues, & Australiana. We also have a new schedule that will see many more new articles added regularly throughout the year. Go to the Articles tab on our site menu now and re-discover this valuable resource! 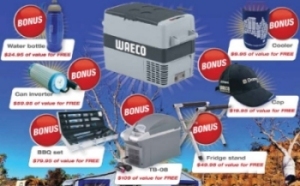 Buy a Waeco now* and get $350 worth of extras! Purchase a product from the WAECO CF VER.B range and you'll also receive the "Ultimate Explorer Pack", valued at over $350. The "Ultimate Explorer Pack" includes a BordBar TB-08 car cooler/warmer, BBQ Set, PerfectPower can size power inverter, fridge stand, water bottle, cap and cooler. How cool is that! *Offer valid from 1st March - 31st May or while stocks last. A recent upgrade now enables sellers to more easily find all their ads listed in the ExplorOz Classifieds. All you need to do, is be on the Classifieds Home Page, and look for the Your Current Listings heading - this feature only appears when you have active ads, and is only visible when you are logged-in. This new feature means that if you have items for sale that you need to change, you can do so quickly and easily just by clicking the edit button displayed alongside each of your ads appearing in the list. The scrolling site header was refreshed yesterday with new images thanks to Member - John and Val and Hideya (vfr800hu). If you wish to contribute images, simply contact us at info@exploroz.com to obtain the file specifications so that you can prepare a stitched panoramic that we can simply plug into the site. According to an ExplorOz Poll, a basic sponge down is all you need to keep clean while on the road. The new H2No Towels in the ExplorOz Shop make this even easer with no need for water and no sticky residue as found in other wipes on the market. And they're extra large so you only need to use one for a whole body clean! Each H2No Towel is packaged singly for convenience but sold in packs of 25. For a limited time only, buy one 25 pack and get another one free. That means you get 50 individually packaged H2No Towels for only $23.95 ($22.75 for members), which is less than 50c per cleansing towel. 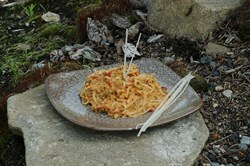 This offer is for the first 50 orders only so order now to avoid disappointment. Week prior to Easter, come and see St George after the impact of 3 major floods to the area (in 2009 the area was in major drought). 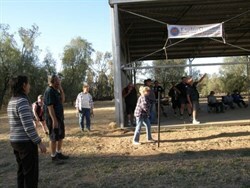 Members Trips and Gathering Page. This delicious range of rice and noodle dishes, plus some indulgent desserts are perfect for when you need a meal with a minimum of fuss. 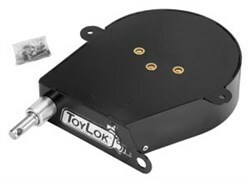 Toylok is an easy and effective solution for securing your valuables at home and on the road. Discover Australia's best fishing spots and greatest pubs with these new guides.